I have been to court a couple of times and one thing that baffles me is how conforming lawyers have become. Most lawyers are pompous, walk with swag, and have a point on whatever topic is up for discussion until they are in front of a judge. They bow, their tongues get stuck, they are incapable of questioning a decision of the judge. When the judge says case adjourned to November 2019, they don’t question, they don’t offer counter-arguments, they simply say “yes my Lord”, close their folders, put them in their leather carry bags and then walk out with swag. I don’t know whether it is their training or they just love being in court to earn appearance fees but the timidest people you will ever find anywhere in the world are Ugandan lawyers before a judge. The timidity of the lawyers and the fact that judges look at themselves as high priests is having a significant negative impact on business growth. A case can last a lifetime in a Ugandan court. If the case is not being needlessly adjourned, the judges are away on some court recess, refresher course or attending some capacity building workshop. And then they get moved from one station to another before disposing off cases. 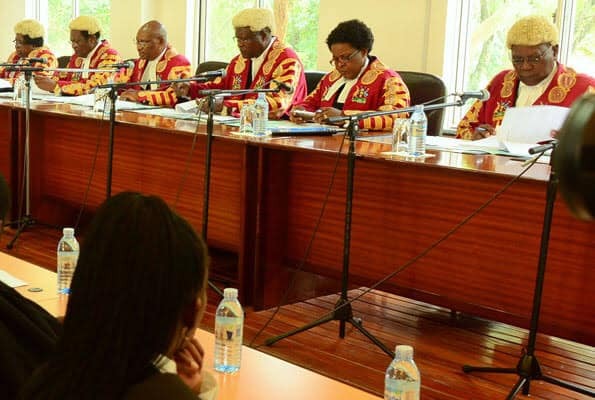 Katikkiro Mayiga, in the book mentioned earlier, suggests that judges should be given a timeframe to dispose of cases and should only be transferred when their trays are empty. When a judge is transferred and left with cases to solve, the new judge claims they are still studying the case and that can take years and before they fully acclimatize themselves with a case, they are transferred and the cycle continues. All this leads to a negative impact on business growth, which is why a government minister can come up with a decision of becoming a realtor collecting rent on behalf of quarreling landlords. In the past, the local council system worked and a lot of cases were decided at the village level. In post-1994 genocide Rwanda, the Gacaca courts (community justice system) disposed thousands of cases — more cases than international and national courts could handle in years. Returning to such systems could help grow our economy.